How about this for a simple wedding DIY with a monogrammed or custom wax seal? All that is needed is cake and chocolate. 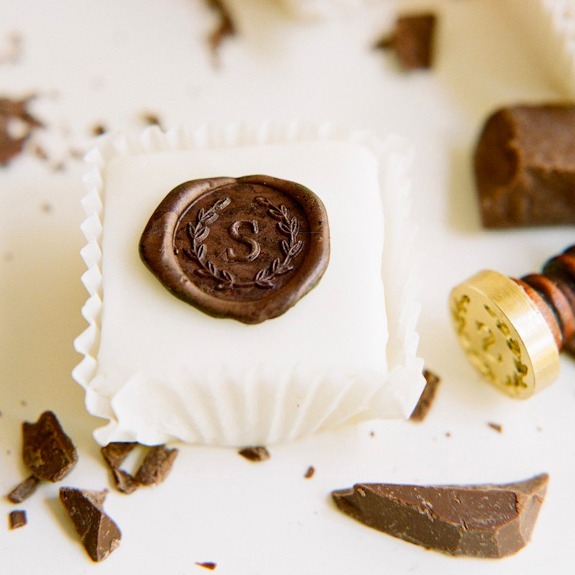 We like the idea of the seal on top of petit fours, cupcakes, or your wedding sheet cake. Press your was seal into semi-melted chocolate, let cool, and transfer onto your cake. Are you in need of a wax seal? Of course, check it out at our store blackmarketintl.com. How to make a cupcake? Cream butter and sugar till light and fluffy (make sure the butter is room temp so the mixture doesn’t clump) . beat in eggs one at a time.